Anyone who has read the Christmas story in St. Luke's Gospel and compared it to the Christmas story in St. Matthews's Gospel might well wonder if it's about the same Jesus. 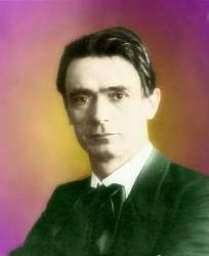 Rudolf Steiner says it's not — that there were two historical Jesus's born about the same time. How can Steiner make such a claim? To understand that, one needs to realize that the family trees that we are familiar with involve only the physical body, and the tracing of one's physical body and blood takes us back through our parents, our grandparents, and so forth. What about the other components of the human, the etheric body, the astral body, and the Ego body? These likewise have histories and each can be traced by the techniques of spiritual science which Steiner is adept at applying. Zoroaster or Zarathustra was the first person to look at the sun and see that the rays pouring forth from it to the earth represented the vesture or physical clothing of a great outpouring of spiritual light from the same region of space. Think about it this way: if there are brilliant spiritual beings in the universe, would they hide in the dark or would they align themselves with the brightest source of physical light available? Doesn't it make sense that both the spiritual and the physical worlds would be aligned in space? Zarathustra called this Spirit of the Sun Ahura Mazdao and said that this Spirit was coming ever closer to the earth, that He would visit the earth one day. This great Spirit came to be called by many names, among others, the Christ. This name was applied many hundreds of years before Jesus's birth. Zarathustra, when he died, because of his refined spiritual nature, left behind in the spiritual world his etheric, astral, and Ego bodies. Later his etheric body entered the man known by the name Moses and helped him to become a great leader of his people. Zarathustra's astral body entered the Egyptian Hermes who therefore possessed all the knowledge of Zarathustra and became a great teacher of that knowledge. Hermes is best known among modern day historians as the founder of the arts connected with writing. In 600 B. C. the Ego body of Zarathustra entered another Persian known as Zarathas, often confused with Zarathustra, who founded the Chaldean Mystery Schools. The wise men who studied in these schools of the east were variously called kings or Magi. They felt a deep connection to their beloved leader Zarathas and through him to their spiritual leader Zarathustra. [page 100] They saw in him the 'Star of Humanity', for 'Zoroaster' (Zarathustra) means 'Golden Star', or 'Star of Splendour'. They saw in him a reflection of the Sun itself. And with their profound wisdom they could not fail to know when their Master was born again in Bethlehem. Led by their 'Star', they brought as offerings to him the outer symbols for the most precious gift he had been able to bestow upon men. . . . Symbols [of] gold — the symbol of thinking, frankincense — the symbol of the piety which pervades man as feeling, and myrrh - the symbol of the power of will. The religious tradition streaming from Zarathustra to humankind was concerned with the outer world. Zarathustra's attention to the outer world showed up in his focus on the rays of the Sun that warmed all life externally and his focus on the outer traits of the human being. 1.) Right View — I view things from what appears to me outwardly. 2.) Right Judgment - I judge in accordance with my right view. 3.) Right Speech — I give true expression of my right view and judgment. 4.) Right Action — I let my right view, judgment, and speech become deed. 5.) Right Vocation — I act in my highest and best line of work. 6.) Right Habit — I work steadily till right action becomes a habit in me. 7.) Right Mindfulness - I link the present with the past and thus account for what I have already learnt in previous lives. 8.) Right Contemplation — I let the things of the world speak directly to me without partiality to views of other humans or my former incarnations. [page 70] He [Buddha] had brought into the world a physical body able to unfold out of itself, forces that formerly could flow down from higher realms only. The first body of this kind was brought into the world by Gautama Buddha. . . . A power that [could] pass over into all men [was] then engendered. Let us summarize Buddha's life: the Bodhisattva came to earth, was purified by the Eightfold way, and when Buddha's body died, the Bodhisattva left earth, with no need ever to return in a physical body. One of the refined bodies of the Buddha after death remained close to earth - this spiritual body is known as the Nirmanakaya. This spiritual body returned in one of the Christmas stories as the "heavenly host" that appeared to the shepherds on the hillside. We are now in a position to look at the two Christmas stories and to make sense of why there should be two separate humans named Jesus born and living in Judea. To help you keep the two stories straight I have created a mind map in Figure 1. of the two Jesus's with all the pertinent connections. In the Gospel of St. Matthew, the genealogy of Jesus goes back through the kingly line of Solomon to King David. King Solomon as king was mostly concerned with the outside world, the traits of humans as they were shown outwardly by his subjects. The birth of Jesus was announced to the father Joseph. In this gospel appears the wondrous account of the three wise men from the east, the Magi bearing gifts for the baby Jesus, following their Star to his humble crib in Bethlehem. Shortly after Jesus's birth his mother and father take him to Egypt. Remembering that both Moses, bearing Zarathustra's etheric body, and Hermes, bearing Zarathustra's astral body, spent many years in Egypt, it is understandable that a trip would be made to Egypt so that, in addition to the Ego of Zarathustra, the infant Jesus might be exposed to, and by such exposure absorb the vestiges of the etheric and astral bodies of Zarathustra extant in Egypt. All of these things are consistent with what one would expect of the account of the birth of the glorified being of Zarathustra who was in his life on earth concerned with the things of the outside world and the outer traits of human beings. [page 54-55] These are the findings of spiritual investigation. It was the Bodhisattva of old who now, in the glory of Buddhahood, appeared to the shepherds. From the Akashic Chronicle we learn that in Palestine, in the 'City of David', a child was born to parents descended from the priestly line of the House of David. This child — I say it with emphasis — born of parents of whom the father at any rate was descended from the priestly line of the House of David, was to be shone upon from the very day of birth by the power radiating from Buddha in the spiritual world. 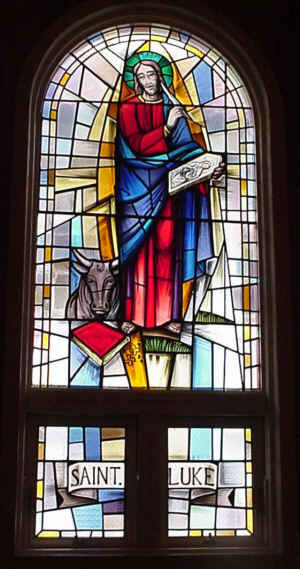 We look with the shepherds into the manger where 'Jesus of Nazareth', as he is usually called, was born, and see the radiance above the little child; we know that in this picture is expressed the power of the Bodhisattva who became Buddha-the power that had formerly streamed to men and, working now upon humanity from the spiritual world, accomplished its greatest deed by shedding its lustre upon the child born at Bethlehem. With this fuller explication of the stories of the two Jesus's, the Solomon Jesus of St. Matthew and the Nathaniel Jesus of St. Luke, we can now better understand what Steiner tells us in other lectures as he relates how the Ego of the Solomon Jesus enters that of the Nathan Jesus at age twelve. That is the time when the Nathan Jesus begins teaching the elders in the temple in Jerusalem and amazing them with his knowledge. It was the knowledge of Zarathustra recently acquired that he was sharing. At this age the Nathan Jesus experienced the confluence of the two ancient religious streams of Zarathustra and Buddha. With the streaming together of Zarathustra and Buddha into Nathan Jesus, the purified vessel was made ready to receive the Christ spirit. 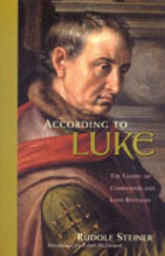 [page57] Compassion in the highest sense of the word is the ideal of the Buddhist; the aim of one who lives according to the message of the Gospel of St. Luke is to unfold love that acts. How are we to act if our thoughts are filled with extracts of our previous incarnations that color and alter our every perception of sight, sound, feeling, taste, and smell? How many of our wishes to do things, to see things, are connected with these leftovers from previous lives? Can one live without these extracts? [page 66] Into everything man encounters in the present cycle of existence there is insinuated what has remained from earlier incarnations as 'desire'. If this element of desire were absent — so said Buddha — man would look out into the world as a divine being; he would let the world work upon him and no longer desire anything more than is granted to him, nor wish his knowledge to exceed what was bestowed upon him by the divine Powers; he would make no distinction between himself and the outer world, but would feel himself membered into it. The two religious streams from Zarathustra and Buddha were to merge in a Hebrew youth named Jesus who was descended from the Nathaniel line. In preparation for that event, the Hebrew people had to be prepared, and this preparation was by way of a holding back, a retardation of certain elements of development. Steiner states that the parallel development of two streams, one with advanced development and the other with delayed development as a key element in the processes that weave into human evolution. It is difficult to discuss these parallel developments without seeming to value one more highly than the other. In observing the motion of an amoeba, one will notice that its movement takes place by some parts of its single-celled body moving forward and other parts moving back — forward progress is not possible unless some parts move forward and others back. One might think of the forward moving part as the "male" principle and the staying back as the "female" principle: one creating a salient projection and the other a receptacle. Only by the reunion of the projected part and the receptacle can the seeds of new life be created. [page 114] The Indian people had been taught to realize that men evolve Dharma, the Law of the Soul, from their inmost being; the Hebrew people were trained to obey the Law given them from without. Thus it was not possible for the insights of Buddha's revelation in inner realization to develop within the Hebrew people until the time of the advent of Christ-principle as shown in the Gospel of St. Luke. Until Christ's time deep revelations appeared only in individuals known as Prophets or Seers such as Elijah, whose being straddled the earth and the spiritual worlds. Elijah was to re-appear united in the body of John the Baptist. When Mary visits John's mother, Elizabeth, while he was in her womb, the Nathan Jesus in her womb had the Nirmanakaya or Spiritual Body of Buddha hovering above it, which awoke the "Ego of John the Baptist into activity," as described in the Gospel. [page 130] Towards the thirtieth year the Zarathustra-Ego had accomplished its work in the soul of the Nathan-Jesus; the faculties of this soul had been developed to the highest possible degree and the mission of the Zarathustra-Ego was thus fulfilled. Having instilled into the soul all the faculties he had acquired through his own previous incarnations, Zarathustra could declare: 'My task is now accomplished!' — and a moment came when his Ego left the body of the Nathan Jesus. [page 197] If I were to impart in the old way the entirely new impulse I have come to give to mankind, if a new form of teaching were not to replace the old, it would be as if I were to sew a piece of new cloth on an old garment or pour new wine into old wine-skins. Some two thousand years later we human are on the brink of another jump in evolution, as Steiner says: "the human heart is demanding the spiritual-scientific elucidation of the Bible." That makes the work of understanding the Bible out of our current evolutionary stage an important task. [page 151] Those who are interested in the truths of spiritual science today not merely because they stimulate the intellect, but who can be enraptured by and derive living satisfaction from these truths — such men will be the forerunners of those in whom the mastery of the soul and spirit over the physical and material has been achieved. [page 203] The revelation of the spiritual worlds from the Heights and its answering reflection from the hearts of men brings peace to all whose purpose upon the evolving Earth is to unfold good will. Footnote 1. The title and book cover are from the latest Edition of these lectures which has a different pagination from the earlier edition I reviewed. As a result the [page nnn] fronting each text citation will not match those of the new edition. The translation will be different as well. To Order your own Copy of this Reviewed Book, Click on SteinerBooks Logo below. Over 10.1 Million Happy People are doyletics-aware! Get Monthly DIGESTWORLD Email Reminder: Click Here: Subscribe! Do you feel like you're swimming against a strong current in your life? Are you fearful? Are you seeing red? Very angry? Anxious? Feel down or upset by everyday occurrences? Plagued by chronic discomforts like migraine headaches? Want happy endings from now on? At Last! Break every rule and discover and apply for yourself this amazingly simple 21st Century approach to removing unwanted physical body states without surgery, drugs, or psychotherapy!